Factory new, current production, original Austrian Glock made 33rd magazine for your 9mm Glock pistols. 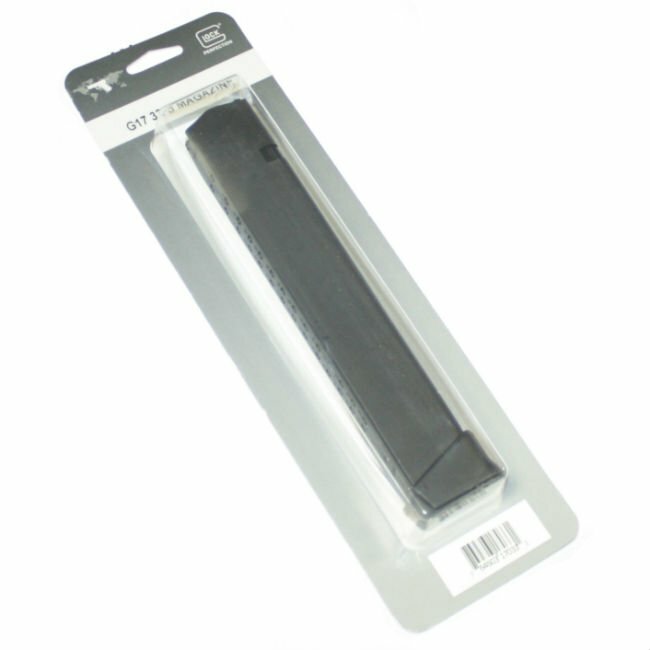 These are drop-free 33rd mags for your Glock Model 17, 19, 26, 34. Designed for use in all Glock 9mm double stack pistols. Will also fit the Keltec Sub2K 9mm.